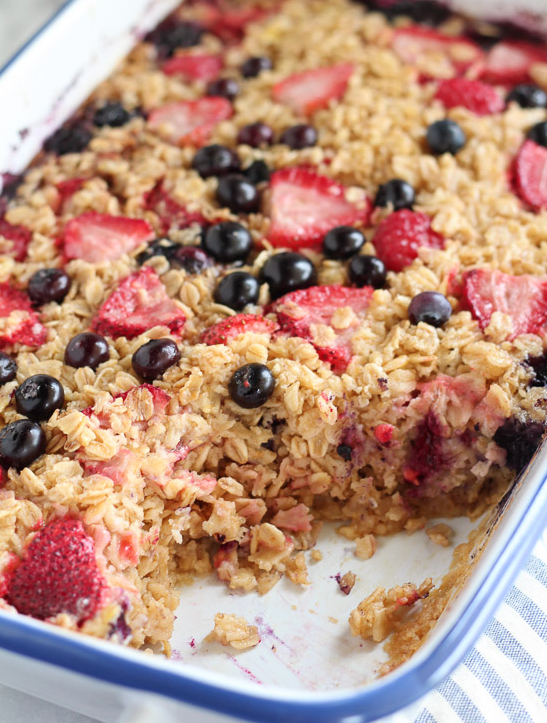 It’s the ultimate oatmeal breakfast bake with a flavor-packed taste for a GREAT morning! 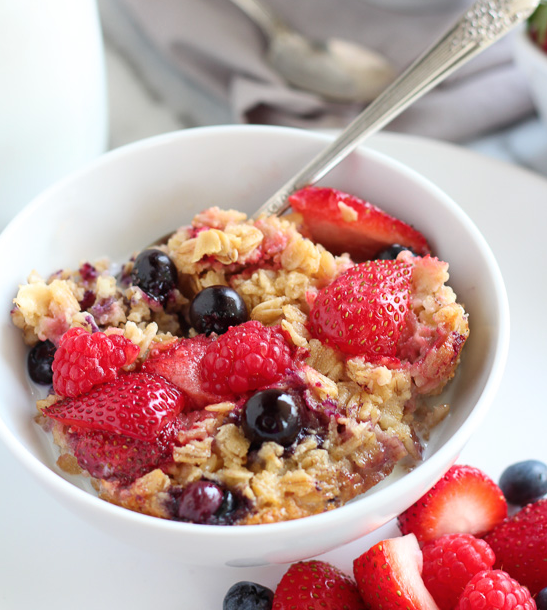 This Very Berry Oatmeal Bake of old-fashioned oats sweetened with berries, brown sugar, cinnamon, and vanilla is a bonafide delicious breakfast to make any person love oatmeal! So good the kids will eat them all up! Make them in advance. Busy morning? This recipe can be made the night before in 10 minutes. Easily swap out a bowl of cereal with this delicious bake, which can be eaten hot or cold, add some milk and you’re good to go! Can also be eaten as a dessert. Simply add a dollop (or two) or heavy whipped cream, or vanilla ice cream and you have a fantastic dessert. Whoever said oatmeal was just for breakfast? Just look at it. It’s like a serious granola bake! Guaranteed to satisfy! Oats sweetened with berries, brown sugar, cinnamon and vanilla! Mm-mm good! Add some milk and ready to enjoy! Bake uncovered for about 40 minutes until oats are tender, and the mixture is set. Flavor variations: You can leave out the berries or replace them with sliced bananas and chopped walnuts for a Banana Walnut Oatmeal Bake! Can also use Almond Vanilla Milk instead of regular whole milk. Want Another Great Breakfast Recipe? Now Watch How To Make Banana Bread French Toast!